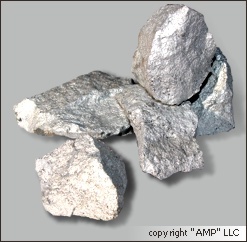 Ferromolybdenum is used as an inoculant for alloyed steel and iron production, with the aim of increasing of their high-temperature strength, fine crystal structure’s homogeneity, stability towards overheating, hardening characteristics and some other mechanical characteristics. FeMo50; FeMo55; FeMo58; FeMo60; FeMo65; FeMo70. 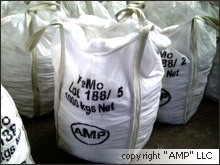 Ferromolybdenum is packed in multilayer big bags made of polymeric stuff. Big bags have grips for facilitation of grasping. Steel drums are placed on wooden pallets, 4 drums on pallet. 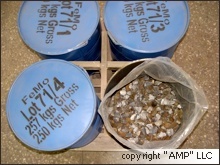 Ferromolybdenum in drums is packed in polymeric packs. Each package is marked and there are mentioned the stuff, numbers of lot and place, net weight (on steel drum gross weight also), manufacturer. Such packing provides the cargo’s safety of keeping and transportation.